Vic Pigg's championship high jump. On a day in late May 1918 at Washington State College in Pullman, high school track stars from big city schools all over the state snickered as a tall, lanky youth from the backwater town of Sedro-Woolley stared at the cross bar of the high jump standard, which was set at the dizzying height of 5 foot 8 and 3/4 inches. That would beat the state record by an inch and only a leap at this state tournament could qualify as the record. Suddenly he shot towards the beam as if he were propelled from a catapult, his long legs pumping in long confident strides. He was nearly there and suddenly he twisted like a pretzel until he leapt with his back to the bar, his hands high above it. He was over the bar, then he landed in the sawdust pit and the crossbar did not even quiver. He was the new state champion with a new state record. Victor G. Pigg, the 6-foot-2 all-star athlete with the name that usually drew catcalls, was nearly deafened by cheers from hundreds of schoolboy athletes. He returned home the next day after celebrating, hardly getting a break as he took his last test and readied for graduation on May 31. No less a personage gave the commencement address that night than the famous Dr. Edmond S. Meany of the University of Washington, who began there as a professor of forestry in the 1890s. Vic graduated with scholars from families of Pressentin, Ratchford, Shrewsbury, LaPlant, Hammer, Green, Blackburn, Wiseman and other pioneers. The first all-state athlete from Sedro-Woolley High hardly had a chance to rest when he was called upon by the Mount Vernon semi-pro baseball team to pitch a game on June 6 in the pennant race for that season. When the game was over, Mount Vernon won 6-0 over archrival Anacortes Shipyards, whose hitters were shellacked by Vic's no-hitter and nearly perfect game. This boy was headed for great things athletically and he was in a hurry. This is a "place-holder story." It was originally posted back in 2003 on our original domain, and since then we have discovered many more details. We plan to completely update and extend the story by 2010. For now, we leave it in its original state. We hope that readers and descendants of the family will suggest ideas and provide copies of photos and documents that will illuminate the story when we update it. Emigrants from the Show-Me state Vic was the youngest son of Wallace Butler [usually referred to as W.B.] and Agnes Pigg, who were born in Missouri, and moved from the town of Calhoun to the newly merged, hyphenated town of Sedro-Woolley in September 1900. A lot of Missouri Show-Me folks hit the rails for greener pastures on the coast at the turn of the century, just as Tarheels would from North Carolina ten years later. Wallace Butler Pigg was from a family that labored in sawmills, furniture manufacturing and the pottery business back home in Henry county. He might have to be a laborer again initially when they reached the former company town of P.A. Woolley, but W.B. had his sights set on owning his own business and getting ahead once and for all in life. They were following their relatives by marriage in the Renfro family, who had become businessmen in the Skagit county town by the river of the same name. Robert Renfro was the first to arrive back in 1889 just before Washington became the 42nd state, soon to be followed by his brother James Renfro during the Depression of the 1890s. Later they were followed by brother William Renfro, a couple of years after he sent his wife Augusta Kittie Pigg out from Eldorado Springs, Missouri, to scout the territory. She was W.B. 's elder sister by nine years. The first Pigg in town, however, was the eldest child in the family, Sarah, born back in 1841 when the Pigg family was still in Kentucky. She married William Wallace Wall in Henry county, Missouri, in 1860 and they came here sometime in the '90s. W.B. was the youngest of seven Pigg children who survived childhood and he saw little reason to stay home in Calhoun after their father, David H. Pigg, died in 1896. The Piggs brought three children with them, Butler Roy, born in 1894, Edward Robinson (nicknamed Robin while a child), born in 1895, and Victor Gerald, the baby, born on Sept. 4, 1899. At first, W.B. helped James Renfro, his brother-in-law's brother, prepare sugary confections at the Renfro Bandstand Confectionery in the lower floor of the gazebo by the Seattle & Northern railroad tracks just east of the depot. When the family climbed down from the stage that brought them over from the Burlington depot that day in September 1900, W.B. saw three sets of tracks criss-crossed a hundred yards west of James's shop and then saw the 200-foot-tall fir trees descending like a green blanket from the hills all around. He must have figured he must have died and gone to heaven. Within two years W.B. saved enough money to start a confectionery of his own just south on Metcalf street, the main drag that bisected the little town heading south, and soon he had to install a shiny new wooden ladder on metal tracks to get to the shelves ten feet high on all the walls. Hundreds of boxes held licorice and fruit candies and caramels and taffy and a myriad of concoctions that Agnes whipped up in the back room and at their home two blocks north at the corner of Munro and Puget streets. They were well on their way. David G. McIntyre was the blacksmith at the new Sedro-Woolley Iron Works, two blocks east of the shop. This future magnate of Skagit Steel and Iron Works lived across Puget street from the Piggs, and P.A. Woolley's original spacious house was just around the corner. Woolley was putting the finishing touches on his new mansion on Woodworth street in the heart of the business district, but the Piggs lived in the right district even though it was on the "wrong side of the tracks" compared to the tony new residential districts. Agnes was famous for the lobelia and lilacs that she grew in her flower gardens. Across the street from W.B. 's home of sweetness was Mott's Drug Store, managed by Paul Rhodius, another Missouri transplant - as was Joe Mott, and Rhodius, like McIntyre, was destined to be a city father. Three doors to the south on Metcalf was the Osterman House, the hotel for discriminating financiers and traveling salesmen with the legit goods, and home of one of the finest and most respectable bars in the frontier town. Just to the east, across the Fairhaven & Southern railroad tracks that cut a diagonal swath through Woolley, was the mill owned by his friend, Homer H. Shrewsbury. They would remain friends and business associates literally until their deaths three days apart, far in the future. Both men hopped aboard the success train and were roaring along, shoving coal into the steam boilers, as Sedro-Woolley took its place as the market center for coking coal from Cokedale four miles away, and seemingly inexhaustible forests of Douglas fir, Western red cedar, hemlock. Eleven trains criss-crossed here daily, with connections to every transcontinental line in North America. And now a new mill was cranking up in the original town of Sedro a mile to the southeast along the river, where stands of cottonwood were being hacked down to be ground into excelsior, so necessary in packing crates for the goods being shipped all over the country. Skagit county came out of the '90s Depression sooner than most places in the country because it was the breadbasket for the Klondike gold rush a few hundred miles up the coast. No sooner would loggers fell the giant trees and SWIW would employ two shifts to manufacture stump pullers than new farmers would arrive on each train to drive their hands into the black rich topsoil underneath the monsters. That soil seemed to grow every fruit tree, row crop and berries that city slickers demanded. And the cedar, which did not rot, provided shingles and shakes for both the houses of the new families and the urban middle class in cities all over the country to whom cedar siding was a badge of achievement. For those who preferred stone work for their business buildings or for ornamental work on their homes, William Renfro was on hand. Trained as a stonemason back home, he produced brick and stonework, tiling and cement chimneys for all classes in town. His wife, affectionately known as Gussie, ran a boarding house in town. James left the candy business and clerked for the Fritsch brothers, who dispensed thousands of dollars of hardware, stoves and paint a block south on Metcalf every month. James's son Harold lived in the old family home on Warner street until he passed away on Jan. 30, 2003 at age 98. He was a mailman here for decades. His daughter Dolores still lives at the Warner street house and is the last descendant of her family. Agnes was a pretty Irish woman completely devoted to maintaining a growing home for her three boys who were growing like weeds. Her parents, Patrick and Mary Ellen (Dowling) Edwards, were both born in County Clare, Ireland. Her mother died young in 1877 back in Missouri after having a dozen children. Agnes was born on July 7, 1871, and was quickly forced to be self-sufficient in childhood, forced to care for her younger siblings and hardened under her deceptively soft looking exterior by the deaths of several of her elder siblings in childhood and adolescence. Even though they lived in a very respectable neighborhood, W.B. quickly bought her a cow to produce milk every morning for her babies, witnessed by city license #53 issued on April 15, 1905. She paid a $1 fee, "for the purpose of allowing one milch cow to run at large." She raised a garden for fresh, healthy food for her family every day, and frowned when W.B. spoiled them with sugar and honey treats. We imagine there were times, though, when he accidentally forgot to remove samples from the pockets of his suit coats, so that the rascals could burrow and find them if they focused on the prize. For what she could not grow, she only had to walk five blocks south to the grocery of F.A. Hegg, a Norwegian from Iowa, who returned home from the Klondike with gold and became a town father and stockholder in the bank in his own right. W.B. was of English lineage whose family emigrated to Massachusetts and slowly began hopscotching south and west, first to Virginia, then the Carolinas, Tennessee, Kentucky then Missouri. His father, David H. Pigg, was born in 1819 in Clark county, Kentucky, and married Edith Robinson there in 1840. Soon after Sarah was born, they moved north to Missouri in the early '40s, their last long journey. During the Civil War they were probably sympathetic to the Confederate cause, since they owned slaves. Another hint of their sympathies lies in David's relationship to Confederate General Wade Hampton, who made his mark raising the Hampton Legion, a cavalry brigade and eventually a corps. He was wounded at 1st Bull Run and then Seven Pines, after which he was promoted to be second-in-command to Gen. James Stewart in his second "ride around George McClellan," then bloody Antietam, Chambersburg and Gettysburg, where he was wounded again. David and Edith doubtless read the reports of Hampton succeeding Stuart and covering Gen. Albert Sidney Johnston's retreat through the Carolinas. The difference between Wade and David, however, was that the general was an immensely wealthy landowner, who had severe doubts in the economic viability of the economy based on slave labor. He had no doubts, however, about the right for South Carolina to secede, and he was totally focused, gaining great praise from Robert E. Lee in the general's memoirs and going on to serve as governor for two terms and then as U.S. Senator during Reconstruction. David had more border Missouri in him than being southern to the bone; one of his cousins married a relative of Samuel Clemens. Agnes's father was mainly a railroad man in Missouri, but we see a hint of her husband's future business success in that he was also a baker and Agnes came naturally to that skill, to her boys' delight. We can imagine an institution present in Sedro-Woolley when they arrived that truly made Agnes smile just as broadly as W.B. grinned when he saw the trains and trees. Just a few months before they arrived, a small, devoted flock of Catholics erected a beautiful church just a half dozen blocks south on Puget street where the Northwest Auto Barn stands in 2002. After dressing them in their best suits, Agnes took the boys by the hand every single Sunday and some evenings in between to her lifeline to civilization here in the semi-wilderness. The church's location was perfect in Agnes's eyes because they could skirt the western part of Northern avenue, which was known to the rowdy sort as Whiskey Way, and State street, called Saloon Row. Far left. Vic Pigg played football at both Sedro-Woolley High School and Santa Clara University. 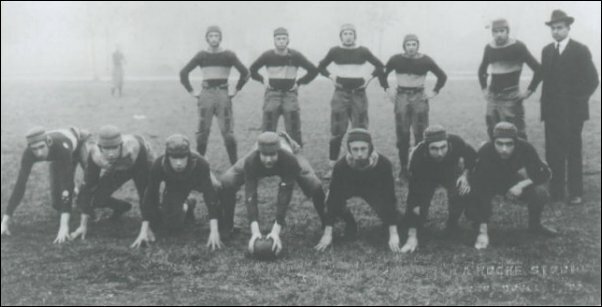 This photo of the 1917 high school team shows Vic at the far left, playing end. 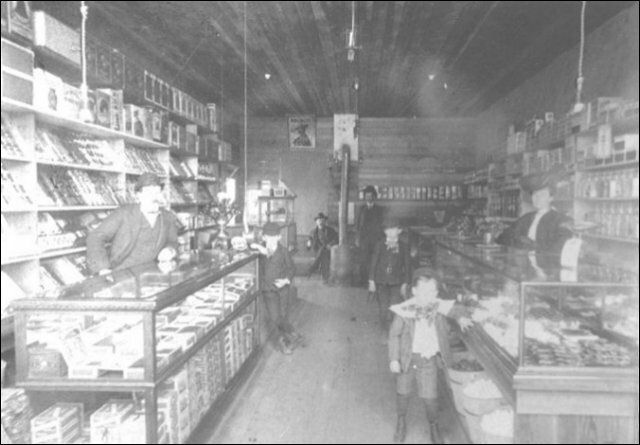 Center: This is a 1904 photo of the interior of W.B. Pigg's confectionery on Metcalf street. W.B. Pigg rides a wave of business expansion The Skagit County Times newspaper reported on May 26, 1904, that W.B. converted a room in the small hall at the rear of the store for flickering light shows by stereopticon and kinetoscope with appropriate music from a fine phonograph. The shows featured moving pictures, which were the scandal of many cities at that time because they were reputed to show vice in foreign countries and at home in addition to the acceptable illustrated songs. The journalists were obviously taken with W.B. 's evolving place of business, judging from the fawning admiration in a July 2, 1905, column: "W.B. Pigg has one of the prettiest booths on the street in front of his place of business. Mr. Pigg is an enterprising merchant and doesn't believe in doing things by halves." In 1906, he bought out a competitor, the Home Bakery on Third street, and absorbed it into his main business. In October 1908, he decided to ratchet up another notch by leasing the Schneider building across the street, where the now-closed Fairweather Lanes bowling alley stands. At least three times the size of his shop, it also sported a second story. The plan was to sub-let enough space to cover his own regular rent and maybe make enough to cover part or all of his other expenses. The first tenant was Frank LaRoche, the photographer who gained fame by photographing Seattle after the great fire of 1889 and later for his pioneering work with Indian tribes in their natural habitat. That winter of 1908, W.B. successfully promoted his shop as the intermediary for letters from children to Santa Claus. In December, both the Courier and the Times, located a short walk away from each other, trumpeted in ink his holiday spirit: packages of candy from five cents to $3.50 mdash; enough candy to give a whole orphanage a sweet tooth, Also for schools and Sunday schools. Complete holiday postcards, penny goods and candies in bulk, 1000 pounds of the best candy, 10 cents pound! And do not forget the toyhouse with the latest dolls and mechanical contrivances. And psst, hey, Mister, while the Missus is out shopping, come catch a glimpse of a bare ankle or even more here in the back room. Business conditions are good all over the country. The Northwest lumber industry has never been more prosperous. Log prices advancing are rising steadily. Freight is rising so fast that the Oregon-Washington Railroad & Navigation Co. is adding a $100,000 freight facility in Seattle. Wm. A. Dorsey, M.D. assumes management. Extensive improvements, more rooms, better light & sanitation. Modified Turkish & Nauheim baths. Trained nurses. For rates, see Miss Gibboney. Even when town founder P.A. Woolley took fatally ill in late May and was rushed home by train from Savannah, Georgia, the scene of his latest railroad construction project, the town could not slow down enough to worry. When he died on June 17, 1912, the town grieved for an appropriate time and then went right back to their favorite activity, making money and lots of it. R.G. Dunn & Co. audited the town's businesses as an aid to financial lending institutions and both Pigg Tobacco and Confectionery and Shrewsbury Mill and Hardware gained a very high rating close to that of giants Frye & Co. Meats and Clear Lake Lumber. Even fire does not slow W.B. Pigg For the next 18 months the businesses in the 700 block of Metcalf rode a tsunami wave of business growth. In June 1912 W.B. expanded his stock even further by advertising Columbia records for sale, two-disc sets for 65 cents, along with Grafonolas on which to play them. He also sold popular stereopticon photos and the devices for viewing them. New Year's Eve of 1913 was a binge of happy parties for the downtown businessmen and their suppliers. But just about the time that the hangover went away, the old nemesis struck again. A fire started overnight in the Schneider Block and by morning, Morris Schneider's building burned right down to the sidewalks taking with it, W.B. Pigg's tobacco and candies, Vogel the photographer; Van Slyke confectionery; Puget Sound Realty; Fred Meier shoe shop and John Sadler, the painter. Once the ashes cooled, W.B. rebuilt his business immediately, but soon he explored an idea he had toyed with for awhile. A marketing genius, he thought it was time to sell fresh bread, hot out of the oven, from a wagon, to restaurants, hotels and homes in both Sedro-Woolley and nearby farms. Agnes, a noted baker, was probably involved with the early days of the bakery part of the business. As business grew he also expanded his market south across the new Thompson bridge over the Skagit river at Third street, all the way to Clear Lake. Butler Roy was 18 and ready to be tested in business; this might just be the challenge he needed to gradually take over management of a company from his father. Butler apprenticed for Sedro-Woolley Iron Works in 1911-12 but apparently decided against that career. There was a vacant lot on the south side of State street just east of where Metcalf street dead-ended. Soon W.B. set all the boys and a couple of artisans to framing a building and piling bricks for an oven that would be embedded into the back wall. The oven was probably designed and built by W.B. 's brother-in-law William Renfro and James McChesney, the father of Robin's future wife, Grace. Renfro and McChesney were both stonemasons, a valuable skill in Woolley after the fire that leveled the woodframe buildings in the heart of the town in July 1911. By 1919-20 the new Pigg Baking Co. was ready to open as the first wholesale bakery in the county. In early 1920 W.B. 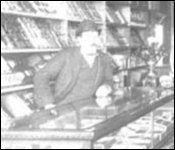 sold off his retail confectionery business to Earl Goldman and it was renamed Goldie's Sweet Store. A true visionary, Pigg went one giant step further than his competition and wrapped each loaf in a paper package, protecting it even more and insuring its freshness upon delivery. The idea was ingenious and a broad spectrum of customers latched onto his specially named Sally Ann bread, and another Pigg brand called Mother Goose. Butler was learning rapidly on the job and W.B. even devoted part of his time towards being on the city council, but he could not yet quite let go of the reins of the business. W.B. showed what good neighbors they were by donating fresh bread to the Sedro-Woolley schools and he celebrated the first anniversary of Sally Ann bread in August with gusto. His doctors warned him that he needed to back off and rest, maybe even travel, so as to lessen the stress of business that could lead to the weakening of his heart. He would not listen to the travel idea but did reduce his hours. Sometime in that decade W.B. apparently invested in a silver mine in the Cascades, according to Lenore Paige's research. Lenore is the ex-wife of W.B. 's grandson Gene Francis Pigg, who later changed the spelling of his last name [see below]. W.B. also invested in several Sedro-Woolley properties, both lots and houses. We also found that during World War I, as sons Bob and then Vic enlisted, Agnes led war-stamp drives in town. His wish was for you to continue on tour. Pat and Robin were then with me, I had sent Roy home with Buddy who we had taken with us on our trip (grandson Gene). Mr. McIntyre told me last night that the whole town seemed to mourn with us. The whole family signed the letter, including middle son Edward Robinson, who had dropped his childhood nickname of Robin and signed the letter as "Bob," the name he would keep for the rest of his life. Luckily for Agnes, she had a family member to help during her grief. The obituary mentions Patricia Edwards, her niece from Missouri, who stayed here the rest of her short life. Butler Pigg took over management of the business after his father died and Bob assisted him. Vic, who played baseball for farm teams of the Seattle Indians and local semi-pro teams, drove delivery truck for his brothers before and after the season. Signs of competition for the wholesale market were beginning to appear and the Pigg brothers met it by innovation. We have the memory of Harold Ferrall, who is nearing 100 and lives near the high school football field. He remembers working as a plumber's assistant for his father on State street and stopping at the Pigg Bakery for breakfast for his favorite pastry mdash; shingle bolts, the forerunner of today's maple bars. A Courier-Times story in 1921 noted that Butler was building up the bakery, which was producing a daily average of a ton of bread. Butler also kept up the good neighbor policy of his father by continuing to donate fresh rolls twice a week for the Sedro-Woolley school children. That dovetailed with the efforts by many women in town who cooked soup in their home kitchens and donated it to schools. Lenore Paige has conducted tremendous genealogy research on the family and has discovered many advertisements in the Clear Lake News of the 1920s. One from April 1922 shows that the price increased to 15 cents for a 1 1/2 pound loaf, with a bonus of magic pictures wrapped with Sally Ann bread, a new picture every day. Lenore Paige found the advertisements on microfilm and she noticed their similarity to sketches in scrapbooks by Butler Roy and his wife, Jeannette. In September an ad announces that Pigg Baking Company was giving away 50 free flags and one in October announced that the bakery bought a new Dodge truck for deliveries. They bought the truck from the State Street Garage, two blocks west. In November, the ad heralds "two loaves for two bits," or 25 cents. A newspaper story with it explains that "This price is the result of a bread war started by the big bakeries and may not last long." In December 1922, they wrapped up dollar bills inside of waxed paper and baked them inside loaves of bread as a special advertising gimmick, but later that month, Butler Pigg announced that prices of raw materials had gone up and local bakers were losing money because of the bread wars. In January 1923 an ad announced that the bakery would deliver fresh bread hot at 2 and 5 p.m. daily and that hot rolls would be fresh at 3:20 p.m. daily. Later that month they announced that the bakery bought a new Ford truck. Later that year a sign of trouble showed up in the Courier-Times; the Piggly-Wiggly grocery store chain announced that it would locate in Sedro-Woolley. For the rest of the decade the bakery's business stayed at a plateau and then fell. By the time of the stock market crash in 1929 the bakery was having trouble paying loans from the local banks. According to researcher Roger Peterson, about that time one of the banks called a loan that could not be paid. Lenore Paige was told by several family members that a large bakery tried to hire the Pigg Baking Co. as a local distributor, but they would have to add preservatives, which W.B. refused and Butler did also after his father's death. The family does not know exactly when the business finally closed but records show that the brothers tried to find other markets, including selling bread to the Monroe reformatory. Lenore recalls that in 1957 she and her husband drove up to Sedro-Woolley and found the old brick oven overgrown with weeds in back of the Old Timers tavern, which opened on the site as Cook & Adams in 1937. The tavern still stands on the old bakery site but in a new concrete-block building that was erected three years ago in October 1999. Far left. 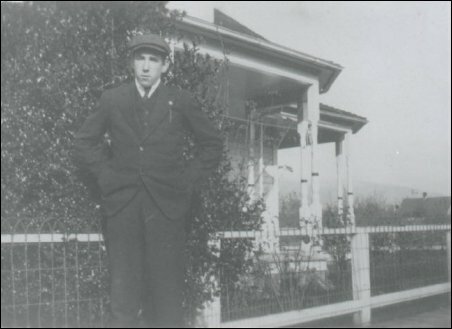 Vic Pigg at his parents' home on Puget street. The house is still standing. The brothers raise children and Vic pitches baseballs Butler married Bessie Jeannette Cannon in Sedro-Woolley on Aug. 3, 1916. She came to Sedro-Woolley in 1901. Her father's family may have had some connection to the Cromwells of England, according to Lenore Paige's research, but her most amazing recorded ancestor was her great-grandmother Laura Cochran Cannon. Laura walked from Massachusetts to Ohio in 1805, behind the covered wagon that carried her crippled sister Rhoda, and became a legend in the Western Reserve. Jeannette, who hated her first name, became close friends with Louise Lillpop, daughter of another pioneer family, and became a noted amateur photographer in town, winning a contest and hand-tinting photos for Frank LaRoche. Their first son, Gene Francis "Buddy," was born in 1917 and a daughter, Agnes Jeannette, was born two years later. Bob Pigg married Grace Mae McChesney Andrews on May 4, 1922, in Sedro-Woolley; she was a widow who moved here from New Jersey. Her father, James McChesney, is listed in the 1911-12 Polk City Directory as living in the Maple House on State street. She had a young son named Clyde Neil Andrews by her first husband, Harry N. Andrews of Sedro-Woolley. A clipping from the June 21, 1920, Courier-Times reported that Grace was visiting in Mrs. Mina Bradley's house in Sedro-Woolley when a Harry Jenkins shot and killed Mrs. Bradley and then killed himself. The two women worked at the Sedro-Woolley Creamery on State street. After witnessing the murder, Grace and another boarder ran away to seek the authorities. An interesting coincidence was that future county coroner Aaron Light was administrator for Jenkins's estate and Light soon married Nellie Cannon, Jeannette's sister. Bob and Grace Pigg had a daughter Mary Ellen, who was stillborn in 1923, the same year that Butler's second daughter, Carroll Marie, died at age two. Those events must have been crushing for Agnes, too, as she still grieved for W.B. The only good news in the family that year was that Vic was becoming an accomplished semi-pro baseball player. From 1919-20 he attended Washington State College in Pullman and then attended the College of Santa Clara in 1921, playing baseball for both schools. He returned to Sedro-Woolley, worked at the Valley Dairy in the off season as well as driving truck for Butler at the bakery. 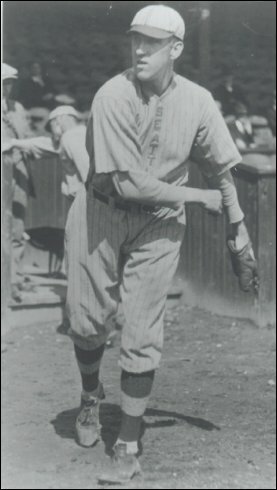 In 1922 he played for various teams in the Northwest Washington Baseball League [NWBL], most of the time for Stanwood. His daughter, Mary Ellen Stewart, has supplied an extensive binder full of newspaper clippings and photographs most of which illustrates his baseball career. In the spring of 1923, we find a headline, "Ten Local Players Go Up," which notes that Vic was the most promising of the ten players from the NWBL who were signed by teams in the Pacific Coast League [PCL]. The Seattle Indians [who later became the Rainiers] chose Vic after giving him a quick look at the end of the 1922 season. Those were heady days as the Seattle Post-Intelligencer headlined his photo with "The Pride of Sedro-Woolley" alongside a story by Babe Ruth about how he planned to choke up on his bat to hit home runs to left field. Many local folks believed that Vic would emulate the Babe. Like his hero, Vic was a power pitcher who could also hit for power. By September he was making his mark as the best pitcher on the roster of the farm club Denver Bears. He had developed a curveball and was trying to paint the corners instead of pitching his fastball down the center of the plate and getting hammered. A reporter noted that he filled in as an outfielder on off-pitching day and was remarkably fast for a 200-pounder. 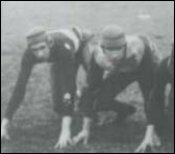 He was signed again by Seattle for the 1924 season but he never again gained the fame he had as a rookie. The PCL was the equivalent of a third major league in those days, producing such greats as Joe Dimaggio from San Francisco. He just never mastered control of his fastball and he served more as a pinch hitter over the years, eventually becoming a pretty good first baseman. In 1927 he was signed by Tealey Raymond of the Bellingham Tulips, a very good semi-pro team. In June he saved a game as a relief pitcher and the next month he won an important game over the Seattle Nippons in front of a thousand fans. His catcher was Buster Atterbury, an upper Skagit river boy. For awhile that summer he and Buster were battery mates for the Larson Cleaners team in Mount Vernon along with Ford Cook, who was the next all-star athlete at Sedro-Woolley High School and later owned the Old Timers Tavern and the Wixson Club. Vic and Buster finished the season back with Bellingham, both of them leading the team in batting, as Vic was used more at first base. The Tulips won the state pennant that year with a 19-13 record and Vic batted in the winning run of the championship game versus West Seattle. Vic and Buster repeated with the Tulips in 1928 after Vic had an early stint with the Seattle Indians and then with Omaha of the Western League. He played his last game with the Tulips in 1929. After the 1928 season he decided that it was time for a regular paycheck and signed on with the Washington Patrol as a motorcycle patrolman for $2,100 per year, a princely sum especially after the stock market crash in October 1929. From then on, his baseball days were mainly ceremonial, playing now and then when a team would request him and for all-star "old timers" game, and picking up checks for appearing at baseball banquets. In 1931 he gained headlines for his new career as he performed a feat with his motorcycle, jumping over a damaged Snoqualmie Valley bridge while helping save people during a flash flood. Brother Butler had three children now after the death of his daughter Agnes in 1932. Bob also raised his son, Edward Robert "Bob" Jr., alone after his wife, Grace, died in 1929, except for when Agnes took care of the boy. Agnes sold off some of the Sedro-Woolley properties as the Depression started and members of the family moved into some of the homes. Agnes's niece Patricia never married and lived with Agnes until she died of breast cancer at age 45 in 1932. Finally, after a long bachelorhood, in the late 1920s Vic met a pretty young schoolteacher in Sedro-Woolley, Miss Eva Cummings of Bellingham. After Vic settled down in the State Patrol, he decided it was time to settle down in marriage. Eva taught two years in Bellingham and they married on June 5, 1932, as soon as the school year ended. 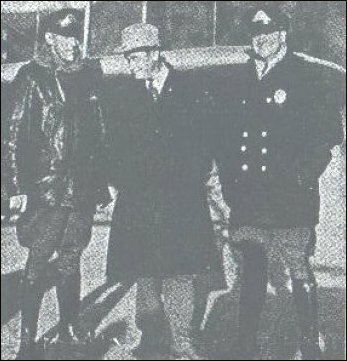 After their honeymoon in Denver, Vic returned to the State Patrol, occasionally achieving fame as he corresponded with J. Edgar Hoover and hosted Will Rogers on a tour around Puget Sound. Planning to be a family man, Vic found a new sport for his athletic outlet that did not require long trips on the road: bowling. His natural athleticism showed once again and he was soon bowling in the best leagues in Seattle where they lived, often for the top Weisfield's Jewelry team. In 1934, when daughter Mary Ellen came along, she earned headlines of her own as she became mascot for the State Patrol. Sister Patricia Alma followed in 1937. In between births, the Pigg boys lost their mother Agnes on Dec. 29, 1936. Her funeral at St. Mary's church in Sedro-Woolley drew a huge crowd, including many pioneers and their descendants. Butler Pigg moved to Seattle the year before that, his family joining Vic's there; Vic was hired that same year by the sales department of Puget Sound Power & Light. After employment for a short time as a guard at the Monroe Reformatory, Butler was hired as an auditor for the Port of Seattle, where he worked until his death in 1941. Jeannette died in 1960. Bob Pigg was a widower in Sedro-Woolley when his mother died and he died in Seattle in 1952 after also working for the State Patrol. Bob Pigg Jr. lived with his grandmother at the old family home for a number of years after Grace died. Butler's son Gene Francis Pigg apparently inherited his father's artistic gene. He attended the University of Washington on the GI bill after graduating from Lincoln High School in Seattle and his Army service during World War II. He was a brilliant student of art history, as witnessed by his membership in Phi Beta Kappa and Mensa. After earning his master's degree, he had a career as an auditor for Boeing and the states of Alaska and Washington, and then returned to UW for another master's degree; he died in 1983. Bob Pigg Jr.'s widow, Alice Corrine Pigg, shared many family memories with Lenore Paige for her research. Vic and Butler change the family name Well after their mother's death, Pigg brothers Vic and Butler sympathized with their children who were unmercifully teased in school about their last name. Vic's daughters were often embarrassed and Butler's sons Gene Francis Pigg and Charles Pigg were sometimes egged into fights about it. Butler was the first to decide on a change, choosing the spelling of Paige in court papers in January 1939. Vic also changed to the same spelling in September that year. Butler's sons followed suit, insisting that Pigg was a proud old name but a torture for children. Bob Pigg retained the name, however, as did his surviving son, Bob Jr.
After four years with Puget Power, Vic returned to the State Patrol in 1939-40 and then moved the family to Bellingham for two years when he made bowling his career as manager for 20th Century Recreation for two years. During the early years of World War II, the family returned to Seattle where Vic worked as an expeditor of fabricated materials for Sea-Tac Shipbuilding in 1941-42. He was hired in 1943 as office manager for Nordby Supplies and worked there for 12 years. In 1955, he lived out another athletic dream by joining the Seattle bowling team for the American Bowling Congress national tournament in Fort Wayne, Indiana. Upon his return he was hired as manager of Sunset Bowl in Ballard, where he worked for 20 years until his retirement. Vic died in 1984 after a brief time in the Ballard Convalescent Center. He is buried at Holyrood cemetery in Seattle. Eva died in 1987. At Vic's funeral, his daughter Mary Ellen noted that Vic Pigg was a quiet, simple man who was thrust into the limelight early in life for his athletic abilities. She said he was a giant of a man but a gentle giant and the loves of his life were his family and friends. He and Eva celebrated their golden wedding anniversary two years before his death. He was survived by both his daughters and five grandchildren who brought him great joy. Addendum At least two Pigg descendants have passed away in this new century: Richard Wallace Paige on Aug. 12, 2000, and Charles Joseph Paige on Oct. 20, 2002. We are especially indebted to three people for their assistance in this story. As always, Roger Peterson of Sedro-Woolley found details in his volumes of research notes. Vic's daughter Mary Ellen Stewart has shared many items that helped us tell his story as the first regionally famous schoolboy athlete and semi-pro baseball player from Sedro-Woolley. This whole project started when Lenore Paige wrote a letter to the Sedro-Woolley city clerk on Nov. 9, 1993, hoping that someone would have family details that she could not find. She probably never dreamed that we would eventually write such an extensive history of the Pigg/Paige family. But her letter was passed on to Mayor Bill Stendal, who passed it on to Roger Peterson, who passed it on to us. Lenore conducted an extensive research project on her own and then shared information with us for the past nine years as we have chased down many details. Her research has been exhaustive as she pored over library, museum and census records, written dozens of letters, paid for data searches and interviewed descendants who might have information. People who search for their own roots could learn much from her example. She hopes that members of these Sedro-Woolley families read the site and email us if they have further information: Carnahan, Young, Roe, Edwards, Southard, Van Valkenberg, Plum or Plumb, Cannon, Starr and other families mentioned in the story. 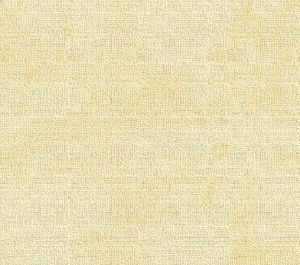 Our site exists primarily to appeal to pioneer descendants such as Lenore and Mary Ellen, who are curious about their heritage and can provide first-hand information. Lenore acknowledges the aid of Vera Stuber in local genealogical research. Vera is a tireless volunteer and has helped many families find their Skagit roots.